From Twitter and Facebook, to new technologies and privacy issues, the legal landscape surrounding social media and the Internet is changing and evolving more quickly than ever, and it is critical for legal professionals' knowledge to keep pace. 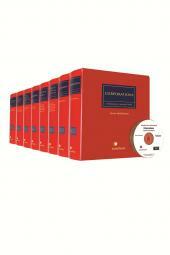 The Second Edition of Social Media and Internet Law – Forms and Precedents, is filled with the practical advice and information that will enable you to do precisely that. 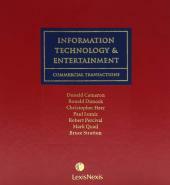 As stated in the introduction to this new publication, "legal issues always follow innovation" and this is particularly true where technology is concerned. This book covers a wide range of important, and sometimes controversial, domestic and international IP and IT issues that relate to social media and the Internet, and valuable precedents to help practitioners get a handle on the topics and questions that most affect their clients. Businesses - More than 83% of Canadian companies have social media engagement. This book is not purely for lawyers, it contains sections on social media policies, employment-related issues arising from the use of social media, and understanding key issues when conducting social media and marketing contests, etc. Paul Lomic, B.Sc., M.Sc., Ph.D., LL.B., is an intellectual property and social media lawyer at Lomic Law. Paul's practice is focused on resolving intellectual property and commercial disputes, including matters involving trademarks, copyright, patents, social media, Internet and confidential information. As a registered trademark agent, Paul conducts opposition and cancellation proceedings and assists his clients with managing and protecting their trademark portfolios. Paul is a Fellow of the Intellectual Property Institute of Canada (IPIC) and served three terms as an elected Council member for the Ontario Bar Association. Paul is a frequent contributor to legal education seminars and legal publications. 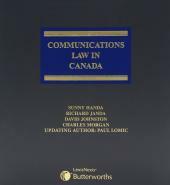 Paul is the editor and an author of two books and the general editor for Communications Law in Canada [LexisNexis].